Kids read or sing along with fun characters to learn sight words quickly and automatically. Sight words are the most common words in children's literature. 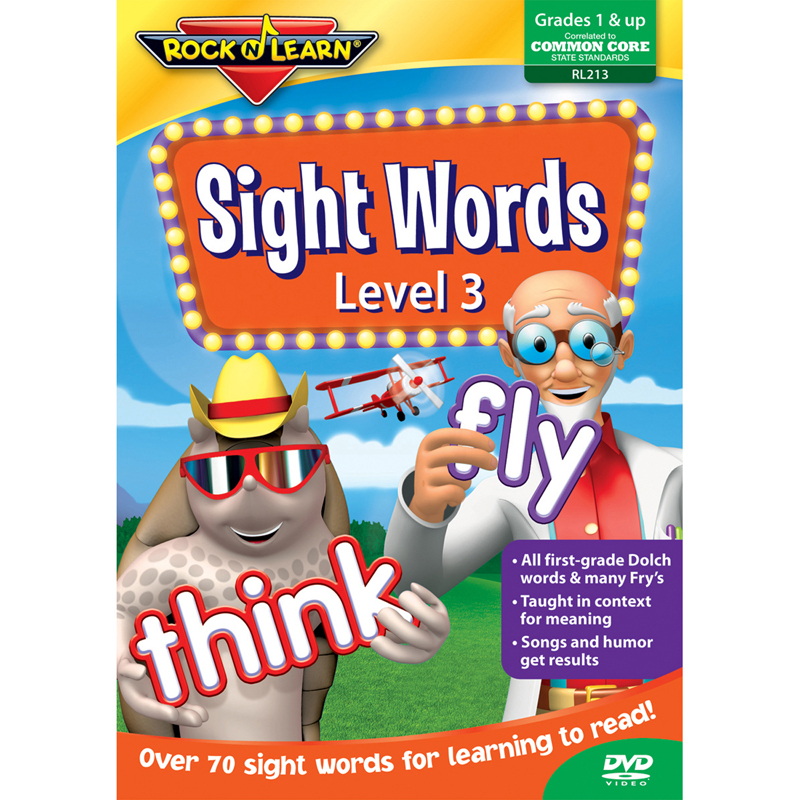 Sight Words Level 3 covers over 60 words — all first-grade Dolch words and many Fry's. Also reviews some words taught on Levels 1 and 2.